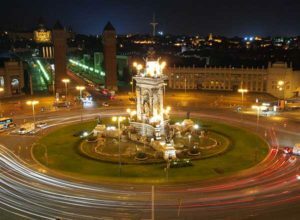 The capital of Catalunya and Spain’s second largest city Barcelona has become one of the most visited cities in Europe. It’s an unforgettable city of art, culture, history, beauty and of course buzzing nightlife. 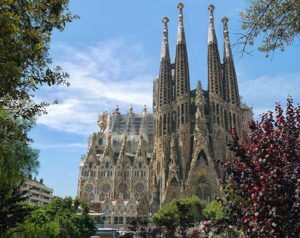 Whether your looking for a cheap bargain deal for under £150 or splashing out on a luxury package for a special occasion we have found you some amazing Barcelona deals from loveholidays. With departures available from most popular UK airports, over 150 hotels and apartments in Barcelona to choose from and a choice of board basis from room only to all meals included you are sure to find the perfect break whatever your budget. Full details, photographs, maps and reviews provided to help you find your perfect hotel. Booking your flight and hotel as a package gives you the added benefit of ATOL protection. Optional Extras: Airport parking, car hire, hold luggage, hotel transfers and travel insurance. Lead in price of £106 per person was for a 3 night stay at the Pere Tarres (TripAdvisor Rating 3.5) departing London Luton on 3 June 2019 based on 2 sharing. The cities architecture has to be seen to be appreciated particularly that of Antoni Gaudi whose work can be seen throughout the city, his most famous work being the still to be completed Sagrada Familia. With historic buildings to explore, narrow winding streets to get lost in, world class galleries and museums to visit plus the popular Las Ramblas with it’s restaurants, street artists and famous human statues there will be plenty to fill your days. Barcelona has over 4km of golden sandy beaches just 15 to 20 minutes walk from the city centre, perfect if you fancy swimming, sunbathing or just relaxing although as you would expect with beaches close to the city they can get crowded in high season. Swimming season is generally from May to September and the beaches have lifeguards, first aid centres, beach bars and public toilets. Note: La Mar Bella beach has a nudist section. Barcelona is well known known for it’s amazing nightlife with a huge variety of bars, pubs and nightclubs to suit all ages and tastes. Whether you prefer sitting in a bar with a beer enjoying a few tapas whilst people watching or dining in Michelin star restaurants (there are 20 in Barcelona) you will be spoilt for choice. Many people will head straight for Las Ramblas to start their evenings although you will find excellent bars and restaurants throughout the city. It often seems like almost every street is lined with bars and restaurants, there are even small bars (Chiringuitos) which play music on the beaches. Clubbers will find a buzzing nightclub scene which starts late and goes on into the early hours. There are nightclubs to suit all tastes, so regardless of whether you are into techno rock, disco or prefer cocktails and jazz you will easily discover your perfect evening entertainment in this lively city. Prices shown are for guidance only and were available at the last update. Actual price will vary depending on the departure date/time, departure airport, airline, time of booking, hotel and duration of your break.